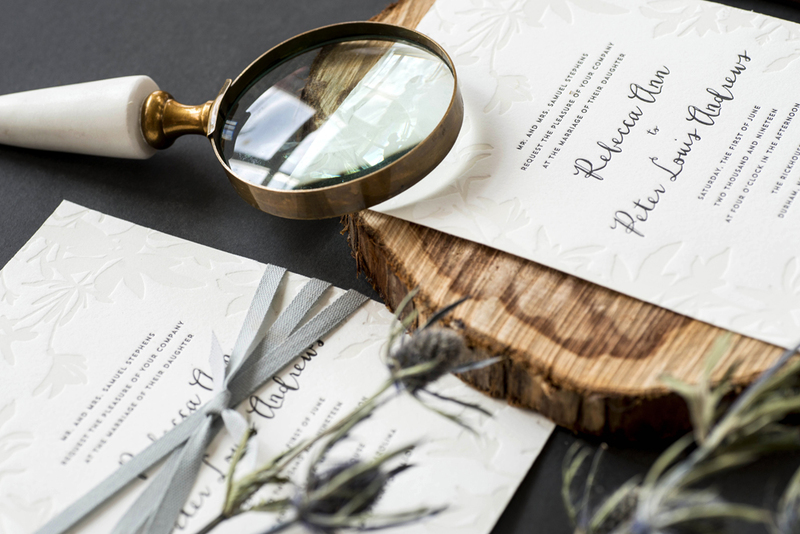 Our Lima wedding invitation suite features hand-drawn botanical illustrations that are wild at heart. Printed in neutral colors, Lima feels both whimsical and elegant. Make it Yours: Lima looks great in bold black and white too, and this suite always thrives in letterpress! We'd love to pair the barely-there neutral ink with gold foil text. For a more traditional look, choose from one of our many font options.